The search continues for edible tomatoes. Oh, there's no trouble finding tomatoes that look beautiful, but as I've bemoaned before, they generally have all the flavour of wet tissue paper. 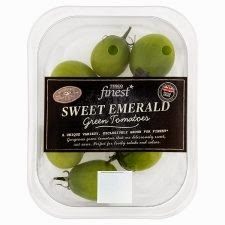 So when I saw Tesco's Finest Sweet Emerald (you have to laugh at these names) green tomatoes on special, I thought I'd give them a whirl. Even though they are green. I've bought speciality tomatoes before, including ones which claimed to be deliciously sweet. And, more often than not, I've been disappointed. But not this time. These tomatoes have an excellent flavour and, yes, considerable sweetness. I'm accustomed to using tomatoes to provide a bit of bright (red) colour to dishes, sliced on top as decoration as much as an additional vegetable. So using green tomatoes required a bit of a rethink. I found they were at their best served thinly sliced on top of a nice chunk of smoked salmon in an open sandwich. 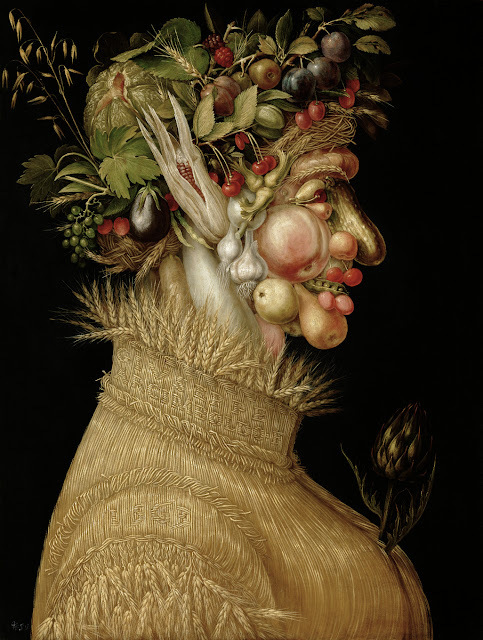 (Mmm, I'm making myself hungry just thinking about it... Is it time for lunch yet?) But I'm sure you'll find plenty of uses for these Sweet Emeralds. They're not cheap, but at least they are an example of a product that actually does what it says on the label.